When you think about making a place your second home, you may be interested in knowing a little about its background and history. Banderas Bay has been one of Mexico’s favorite places, where many foreigners have settled and treated it as their home away from home. Many don’t know that this very scenic place has its share of history to tell with many mysterious twists and turns that has influenced much of what it is today. Below you will find some insight into how the Montgomery Fruit Company contributed to Puerto Vallarta and Banderas Bay’s development, thanks to information provided by Facebook group: “el Viejo Vallarta, lugar de los Patasaladas” (Old Vallarta, place of the salty feet people). It all started when the Montgomery Fruit Company’s representatives arrived to Banderas Bay in 1923 and bought a vast area of land in Ixtapa, which is a town right next to Puerto Vallarta and Nuevo Vallarta. The land measured a staggering 45 thousand hectares and was the Ixtapa Hacienda, then owned by an affluent German resident, Don Alberto Beach. The international company used these lands as an extension of their base in Quito and Guayaquil in Ecuador, bringing their knowledge in the banana cultivation industry. The Montgomery Fruit Company began to plant bananas and soon experienced a flourishing economy with abundant harvests during their first two years from 1923 to 1925. However, it was short-lived as a devastating cyclone hit the place causing havoc on the banana plantation. This has forced them to look somewhere and leave the area temporarily until they returned in 1926 with new American investors, which marked a turning point for the region. According to historian, Carlos Munguia Fregoso, at this time, Ixtapa’s economy and infrastructure was much stronger than that of Puerto Vallarta. With such rich investment and successful harvests, the Ixtapa town soon became a boom for employment opportunities, commerce and other factors, all of which contributed to a fast economic surge. Soon, there was widespread construction of comfortable wooden houses, irrigation canals and a big hotel to house workers coming from far places like Mexico City and from the mountains that surround Banderas Bay. 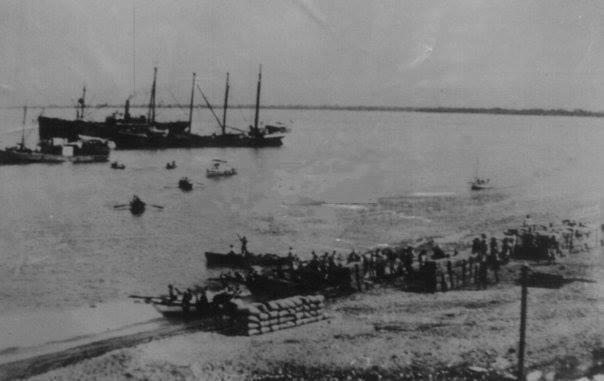 The Mascota River was the site of a newly installed steel bridge and a new railway was constructed, which efficiently transported the harvested bananas from Ixtapa to Boca de Tomate, from where the harvests would be taken by ship and marketed to faraway places. These movements changed the way of life for those living and working in Banderas Bay and Puerto Vallarta. The arrival of workers and migrants of the Montgomery Fruit Company from such towns like de El Cuale, San Sebastian, Mascota and Talpa after the faltering silver industry and Mexican Revolution, brought much progress to the areas. What was most interesting was that the migrants who came to settle in Ixtapa and Puerto Vallarta shared similar cultural backgrounds and customs, and many were already friends or acquaintances. This meant that a sense of community grew up very quickly as people created their new home away from hom. Thereafter, the area began to harvest a whole range of regional products, such as corn, tobacco, beans, chilis and coconut oil, all of which were exported by sea, even to Mexican destinations as there were no reliable highways at this time. Come 1931, the Montgomery Fruit Company’s success began to decline, its operation badly affected by the Mexican government’s decision to enforce the “ejido” program. Under this program, local Mexican workers were granted the land upon which they could make their living. What were once parcels of land owned by the legitimate foreign company were divided and shared among local custodians known as “ejidos”. This eventually forced the company to close. The Montgomery Fruit Company’s short, but successful stretch greatly affected Puerto Vallarta’s demographics and stature in a very positive way. Its reputation as a proficient port area was then established and its total influence of what Puerto Vallarta today is still felt around the region. It left a legacy that will forever be etched and will have its own place in Puerto Vallarta’s rich history.